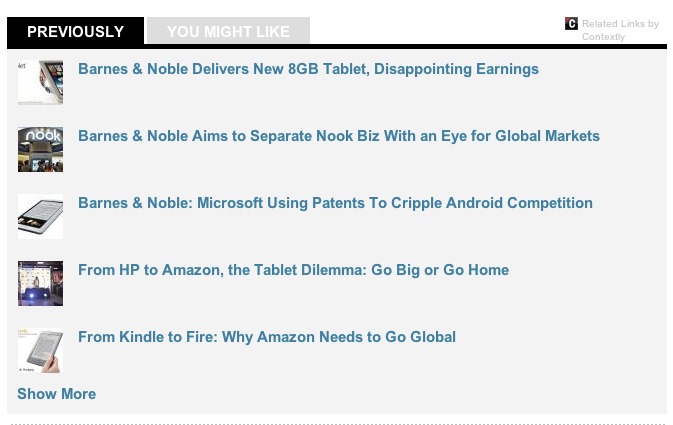 Related Links by Contextly: this is used by sites such as Wired. It is a premium “related stories” service and does not put unbearable load on your server. 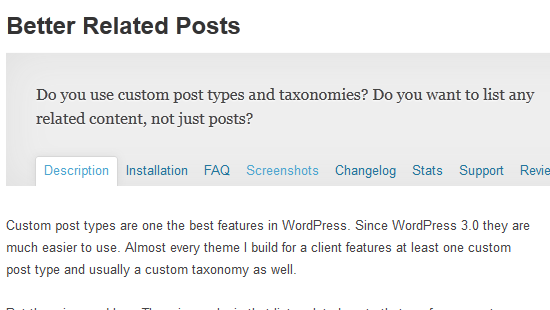 Yet Another Related Posts Plugin: one of the most popular related posts plugins for WordPress. It is highly customizable and updated on a regular basis. Contextual Related Posts: displays related posts automatically after the content on your website or in the feed. You can tweak content matching based on title or content of the post. Better Related Posts: this plugin shows related posts that are from a custom post type. You can use tags and categories, or custom taxonomies. WordPress Related Posts: I became a fan of Zemanta a couple of years ago. We covered their service here multiple times. This plugin adds related posts with thumbnails to your site to keep people on your site for longer. It gives you stats too. nrelate Related Content: we have had mixed results with this plugin. The fact that it does the processing and analyzing on third party servers is a plus though. The plugin is ad-friendly. I still use Similar Posts by Rob Marsh on a few of my sites. But the plugin has not been updated since 2008. It can slow your site down badly if you are not too careful. That’s the main problem with most related posts plugins anyway. The above plugins have performed fairly well for us. I do encourage you to test multiple ones to find the perfect match for your environment.